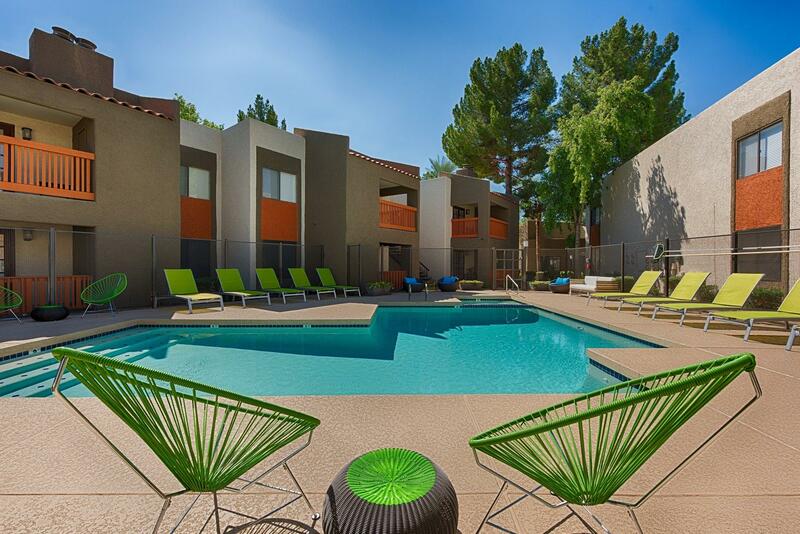 Welcome to Del Sol Apartments, a fresh take on community living in Scottsdale. We offer newly remodeled apartment homes with contemporary finishes and appliances. Our community is recently renovated with a stylish new clubhouse, pool area, outdoor kitchen, and fitness center. Your dog will love the new pet park with agility course and you will love the new open park area with covered picnic seating. Walk to top North Scottsdale schools, recreation, shopping, and world-class dining. Elevate your lifestyle at Del Sol Apartments.